Ground controllers have lost contact with an Indian communications satellite launched last week, and Indian news reports suggest engineers believe the spacecraft’s power system is at fault. The GSAT 6A communications satellite completed two orbital adjustment maneuvers following its launch Thursday aboard India’s Geosynchronous Satellite Launch Vehicle, but engineers at the mission control center in Hassan, India, suddenly lost contact with the spacecraft Saturday. The Indian Space Research Organization confirmed Sunday that GSAT 6A ran into trouble shortly after a second major orbit-raising burn by the satellite’s main engine. 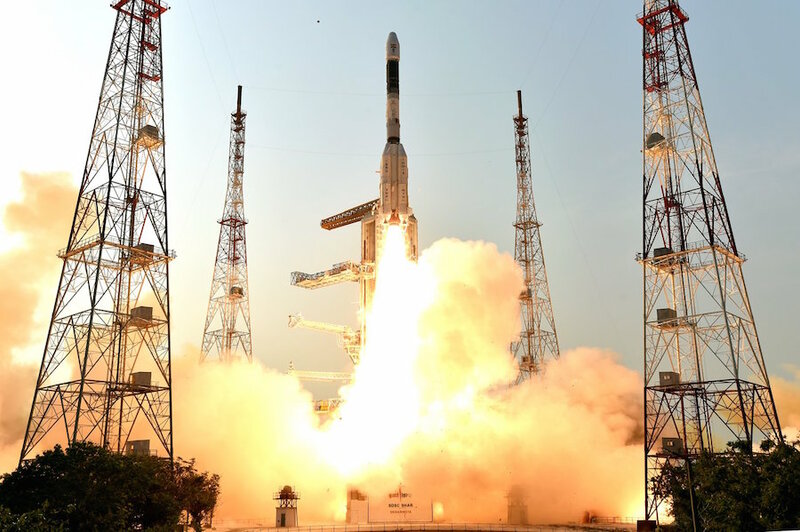 The GSLV Mk.2 rocket successfully placed the GSAT 6A spacecraft into a preliminary elliptical geosynchronous transfer orbit that took the satellite as close as 92 miles (149 kilometers) from Earth to as far as around 22,685 miles (36,508 kilometers). ISRO managers said after Thursday’s launch that GSAT 6A extended its solar panels and started generating its own electricity. GSAT 6A’s final operating orbit was planned to be at an altitude of nearly 22,300 miles (35,800 kilometers) over the equator, where the laws of astrodynamics allow a satellite to move in its orbit at the same speed of Earth’s rotation. Such geosynchronous orbits are ideal for most large data relay and television broadcast satellites. 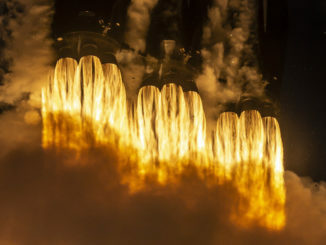 The satellite’s flight plan called for three burns of its on-board engine to circularize its orbit at geosynchronous altitude, and shift GSAT 6A’s orbital track from one that oscillated between 20.7 degrees north and south latitude, to a position directly over the equator. ISRO officials said the first two burns went according to plan, but controllers lost communications with GSAT 6A after the second maneuver. K. Sivan, ISRO’s chairman, told the Time of India newspaper that the satellite should have reset and entered a “safe mode” if it encountered a problem. Controllers should have been able to establish communications with GSAT 6A if it was in safe mode. 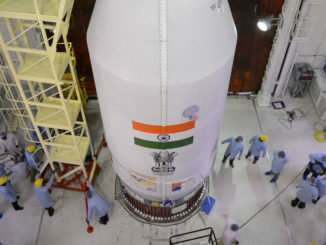 The Times of India reported the problem could be related to GSAT 6A’s power system, and engineers were still trying to contact the satellite Tuesday. GSAT 6A is currently flying in an elongated orbit ranging between around 16,150 miles (26,000 miles) and approximately 22,600 miles (36,370 kilometers), with its track tilted 3.3 degrees to the equator. A third engine burn was planned to finish circularizing GSAT 6A’s orbit. Once GSAT 6A arrived in its final orbit, officials planned to park the satellite along the equator at 83 degrees east longitude, unfurl a 20-foot (6-meter) S-band antenna, and complete post-launch checkouts before entering operational service. 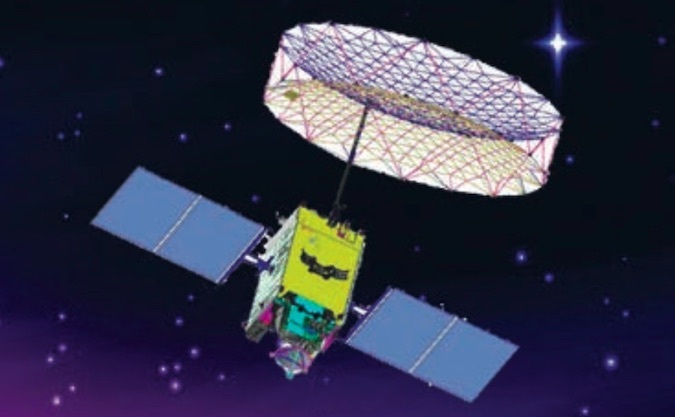 Valued at more than $41 million, GSAT 6A was designed for a 10-year mission providing communications services for remote users, including Indian government agencies and the Indian military. Its sister satellite, GSAT 6, launched in August 2015. “These two satellites combined are going to provide a platform for development of advanced technologies, such as unfurlable antennas, hand-held devices and ground networks for two-way point-to-point satellite communications,” Sivan said in remarks following Thursday’s launch. India is planning a busy year of launches, a pace that is set to continue as soon as April 12 with the liftoff of a Polar Satellite Launch Vehicle with an Indian navigation satellite. 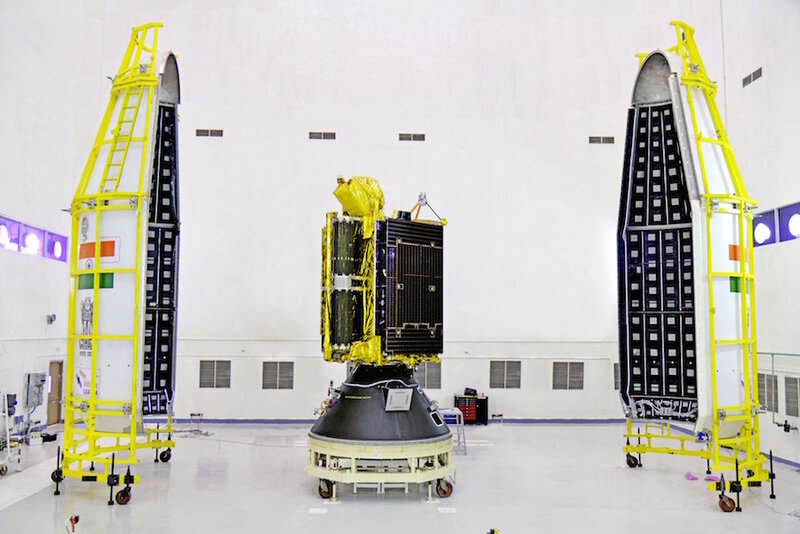 A broadband communications satellite — India’s most powerful telecom spacecraft — is set for launch in May on a European Ariane 5 rocket. 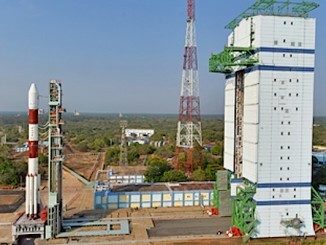 India’s Chandrayaan 2 lunar rover is also scheduled for liftoff on a GSLV Mk.2 rocket before the end of the year. Although GSAT 6A’s fate remains unknown, it is the second Indian space mission in less than a year to suffer a major problem. India lost the IRNSS 1H navigation satellite during a failed PSLV flight in August 2017. The spacecraft was stranded on its launcher when the PSLV’s payload shroud failed to jettison a few minutes after liftoff.